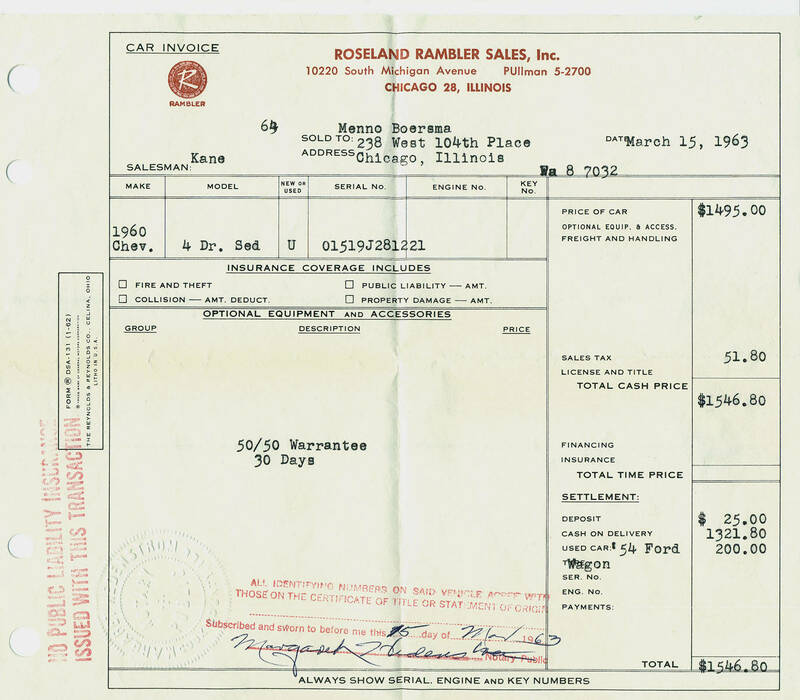 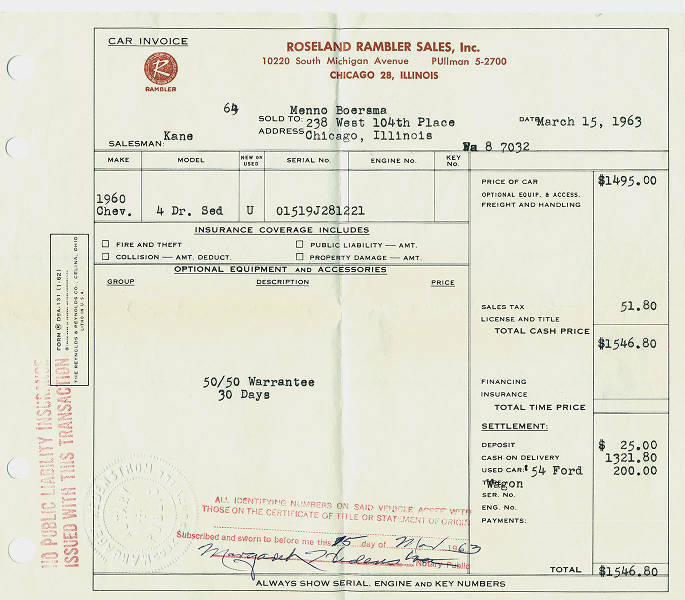 Sales receipt dated March 15, 1963 for sale of 1960 Chevrolet to Menno Boersma, Roseland. Title Roseland Rambler Sales, Inc. 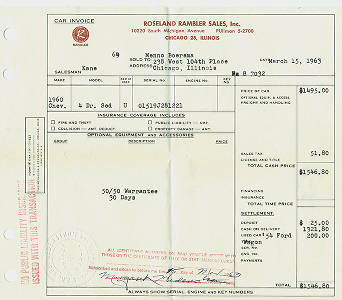 Description Sales receipt dated March 15, 1963 for sale of 1960 Chevrolet to Menno Boersma, Roseland.